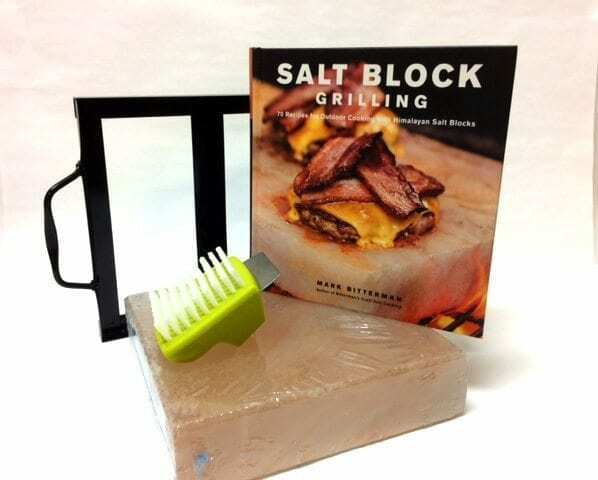 We’ve bundled our most popular size salt slab with the book, “Salt Block Grilling“, or the book “Salt Block Cooking” – both are essential guides to making salt blocks the centerpiece of home grilling, cooking and food presentations at a great price. Just pick the bundle with the book that best suits your style! 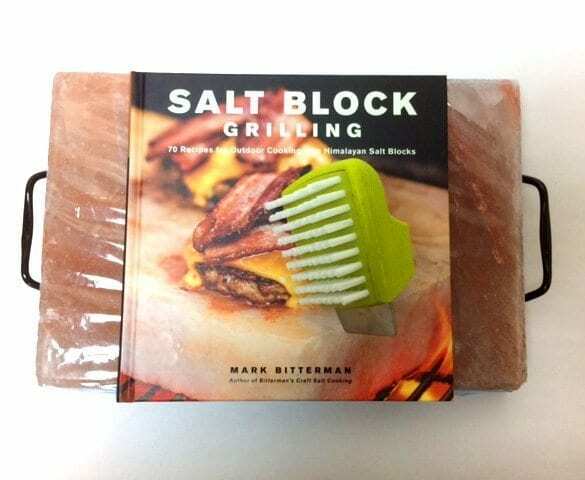 “Salt Block Cooking“ or “Salt Block Grilling” by Mark Bitterman, featuring 70 recipes for outdoor grilling, chilling, searing and serving on Himalayan Salt Blocks. Comes with brown cloth carrying bag. Sorry, cleaning brush no longer available. A precious pink mineral mined from ancient hills in Pakistan’s Punjab province has arrived on the American cooking scene as an exciting and enticing new form of cooking. Himalayan salt blocks, for years the stuff of Iron Chef panache, are today available at specialty retail stores around the world. And the market is growing. 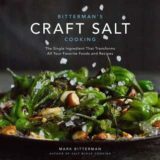 Each book has 70 recipes designed for using this unique cooking tool. 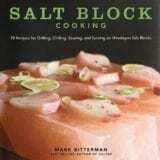 This is the definitive text on Himalayan salt blocks, written by the man who wrote the definitive text on salt. He gives an introduction so you know how to use and maintain salt blocks with confidence!